After a couple of months of delay as well as a prolonged delivery due to the galloping holidays, Tama-chan latest scaled figure finally reached ashore, safely docked in my den earlier last week. As always, the obligatory box shot. Printed in a nice pinkish-black hue, the packaging has several display windows in the shape of Sakura (Cherry Blossom) petals all around the box. 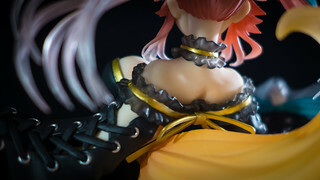 Here’s an overall look at the figure herself. 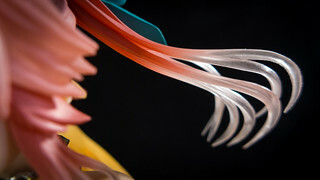 Really fancy her playful pose and the attention paid by the sculptor to the frilly parts of her dress. 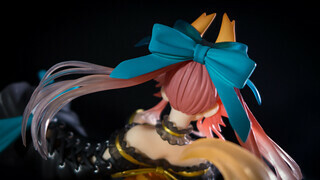 Nice sculpt on her blue ribbons too. 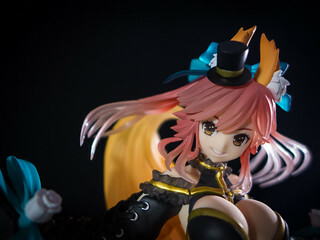 Oh and don’t forget her cute little top hat. One does not simply ignore the huge furball that is the fuwa fuwa shippo of Tama-chan. 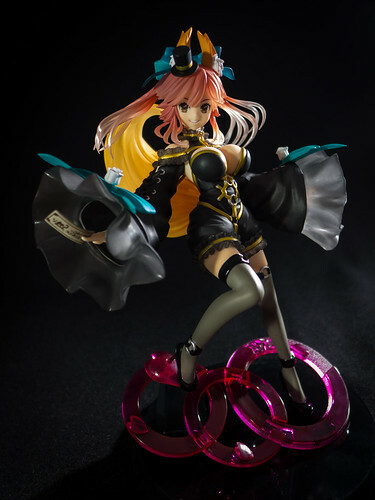 Even her official concept art depicts it being of a darker variant. Perhaps Phat! tried to replicate that silky stocking effect by using only a single colouring depiction? Unlike the plain transparent blue square base of the original, this version have a round standing base outfitted with a triple of circlets. Finally, here’s another look at Tama-chan in her CCC default outfit. There’s also a recently announced (During WonFes a couple of weekends ago…) Beach Queen Tama-chan coming in September this year, however her sculpt by Wave seems rather bad, to me at least. 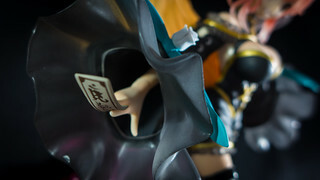 This entry was posted on 22nd February, 2014 by yunamon. 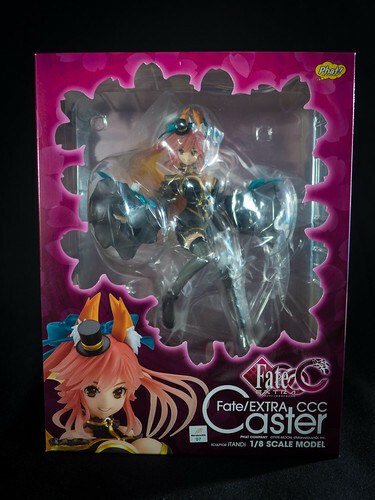 It was filed under Assorted Figures and was tagged with 1/8, Caster, Caster Extra, CastFox, Fate, Fate/Extra, Fate/Extra CCC, Fate/Stay Night, Figure, Fixed Pose, JRPG, Kemonomimi, Kon! 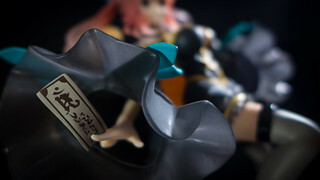 Kon!, Nendo, Nendoroid, Phat!, Playstation Portable, PSP, Review, Role Playing Game, RPG, Scaled Figure, Shippo. 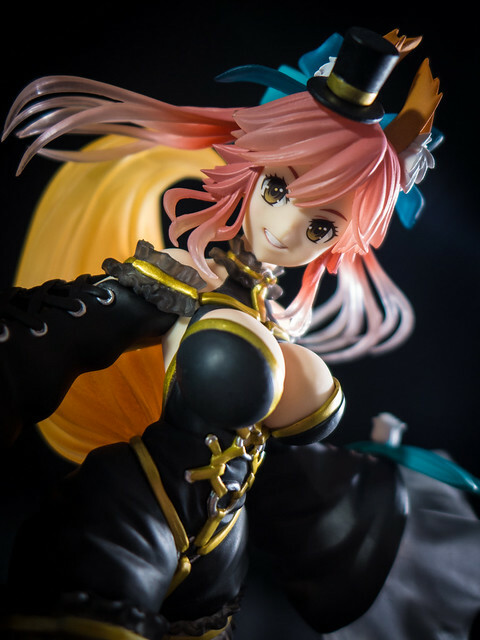 Nice figure of Tama-chan (aka Caster kitsune) though indeed the bust is a little too exaggerated compared to her original appearance. 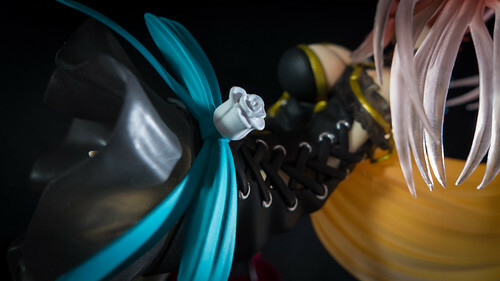 Nonetheless, the detailing on her outfit is gorgeous.